Before apps, video games, virtual reality and Pokemon go, previous generations enjoyed forms of entertainment that involved actual physical objects. This may be hard to believe but it’s true. An entertaining and jolly artifact of former times is something known as a whoopee cushion’. Found in stores like Spencer Gifts, a place known for selling gag gifts and sometimes R rated items, the whoopee cushion was a rubber device that made a sound similar to human flatulence when quickly deflated – usually when someone unexpectedly sat on one. A prankster would secure a whoopee cushion, inflate it and then surreptitiously place it where the victim would be placing their derrière. As the victim sat down and the gaseous noise erupted, great laughter would erupt. Ahhh – the good old days. 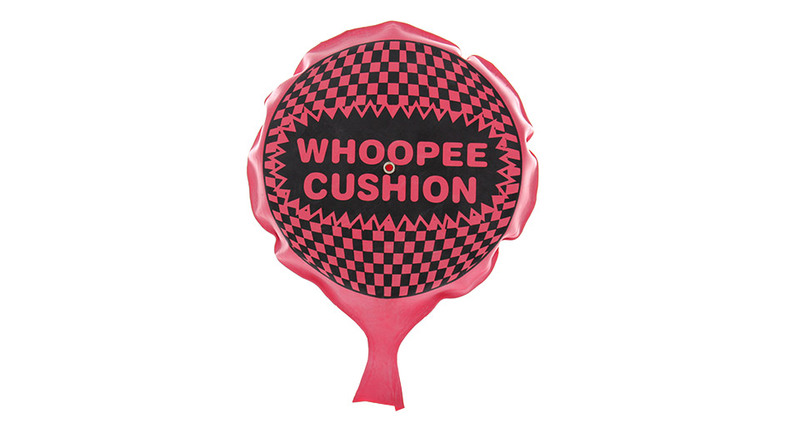 But wait – there is a new Whoopee Cushion that has arrived, under a different spelling. It’s now called ‘Whoopi Goldberg’. The newer version is far more vulgar and explosive than the more innocent rubber version. New Whoopi explodes in unreasonable and fantastical liberal tirades with fake facts and intolerant accusations. Human Flatulence. Whoopi ‘let loose’ on a superior foe, Judge Jeanine Pirro, on a recent episode of the brain inflammation known as ‘The View’. If you remember the Harpy scene from famous stop action film Jason and the Argonauts, you have seen the view. No need to tune in. Anyway, Whoopi harkened back to POTUS’s initial campaign announcement speech to claim he besmirched all Mexicans, among others. He did not. She held forth in hysterics. She made very smelly noise. The good Judge had to zing her with facts. Whoopi Cushion couldn’t handle it. She melted down. Stormed off. Told the Judge to leave. She exemplified Human Flatulence. Just a guess – but the notoriety of this incident is helping the Judge sell her new book too. So you might say in addition to the passing of wind, Whoopi Cushion also – how shall we say it delicately? – defecated on her own self! Yes. That’s it. What we have here ladies and gentlemen is a smaller metaphor for the left in this nation. They have become their own religion of sorts, enforcing orthodoxy and compliance in a way that would make the Mullahs of the Islamic State blush. Toxic accusations, angry rhetoric, demonization, and hysteria are their currency. Like the house in the movie Polterguest, at the end of the story, all of the badness, the grotesqueness, the rottenness, and rancid foundations of it all are about to collapse in and implode. Keep watching. It is inevitable. The American people have become far more capable of detecting BS of late. It’s over for the Stalinist Left. As for Whoopi Cushion, get some air freshener and be prepared to occasionally light a candle to get the smell out of the room……. Watch where you sit, my friends…..